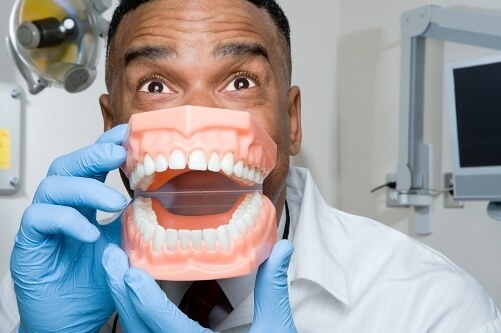 You can do some serious Italian learning while waiting for the dentist. The key is to skip that magazine rack in the waiting room. Instead, bring some magazines in Italian with you! Learning Italian with magazines is great for your language skills while being breezy and interesting to read (and, of course, it can take your mind off the fact that you’re at the dentist’s). Riviste (magazines) are an awesome way to pick up new vocabulary and get a glimpse of Italian culture. Magazine articles are shorter and lighter than your average Italian textbook, and they’ll hold your attention whether you’re in a waiting room or anywhere else. Plus, you can access many of the best ones online from your favorite device for an instant dose of Italian! Let’s take a look at some of the reasons why learning Italian with entertaining magazines is a great idea, as well as some of the best magazines Italy has to offer language learners. 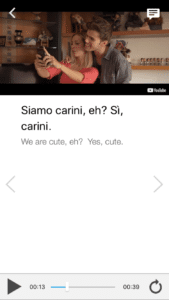 Why Learn Italian with Magazines? Magazines help you keep up with current events. Just like in the U.S., Italian magazines are meant to keep readers informed on current events in their particular niche. Most magazines are published either once a week or once a month, so if you’re reading one soon after its publication date, you’ll know that the topics inside are fresh in the Italian-speaking world. It’s a great way to learn more about Italian culture and see how the language is used in a variety of relevant, real-world situations. Plus, if you’re practicing conversation with Italian speakers (which is highly recommended!) you’ll have plenty to chat about. Magazine articles are short and digestible. They’re typically snappy and to the point (some articles are only a paragraph or two long!). This is perfect for any Italian language learner with very little free time, because you can pick up a magazine and get a satisfying dose of Italian in a few minutes. It also means that you won’t get lost or overwhelmed so easily, which can do wonders for your motivation as you’re practicing your reading comprehension skills. Magazines tend to have a more casual tone than newspapers. Most magazines are written with the goal of delivering information in a fun, personable way. Thus, the writing style is more casual, making them easier to read than newspapers, which can be a bit arduous (and even boring) to read at times. If you find it difficult to keep up with a news story in a newspaper, try reading a similar article in one of Italy’s famous news magazines, instead. You’ll get the same information, but the style will be a bit more informal, which will help you comprehend it better. Magazines include bright colors and photos. They say that a picture is worth a thousand words; that picture can get you a thousand words closer to understanding an Italian article by giving you visual clues about the topic. For example, if you’re reading an article about un orso, but you don’t yet know the word for “bear,” a photo of a grizzly bear next to the text would be a great way to let you know what you’re reading about. Even the bright colors of the magazine pages can help as well, allowing you to understand the tone of the article. More serious articles tend to have few or muted colors but upbeat stories have brighter, more colorful artwork accompanying them. Find a magazine that appeals to you. With magazines as well as with books, you won’t read anything for long if it doesn’t interest you. If you’re artistic, choose a magazine about the arts. If you’re a chemist, choose a magazine about science. If you love celebrities, choose a magazine that tells you all the latest gossip about them. The more interested you are in the content of a magazine, the more motivated you’ll be to read and understand it. Skim first, read later. Don’t feel pressured to read every article word-for-word on the first try. Skimming lets you get the gist of an article (and suss out whether it’ll even hold your attention) so you have the groundwork to go back and catch anything you missed the first time. Highlight words you don’t know. Magazines are made to be somewhat disposable, since a new issue is put out regularly. So, unlike with library books or rented textbooks, you can highlight and underline to your heart’s content to keep track of the words or phrases that trip you up. You can then look them up with your favorite Italian dictionary or translator. You might even try using a context-focused vocabulary tool like Visual Thesaurus, which creates interactive word maps to help you see how new words are related to ones you already know. …But don’t get too hung up on them. That being said, don’t spend all your time looking up every single word as you try to read along. That will only take you out of the story and make you lose the flow. It’s best to read at a steady pace and see if you can pick up unfamiliar words’ meanings from context clues. Only look up the words in the moment if absolutely necessary. Enjoy yourself! Magazines are meant to be fun and entertaining, so don’t treat them like a homework assignment. Pick the articles you like and don’t feel bad if you choose to read an article about the Kardashians instead of an article about global warming! Before we get into our reading material, here’s a fun bonus: If you love learning with authentic content, you’ll love FluentU! Now let’s figure out which Italian magazine will most appeal to you! TV Sorrisi e Canzoni (TV Smiles and Songs) is a lot like America’s TV Guide Magazine. It’s a lighter read that features articles about celebrities, movies, TV shows and music, so you can stay up to date with what’s new in Italian entertainment. It can be really fun to see the Italian take on media like “I Puffi” (The Smurfs)! From a language learning perspective, this magazine works best when combined with other Italian practice methods, namely, watching Italian TV series and movies. It’s much more fun to read about the latest Italian hit TV show if you’ve been watching it, too! Plus, you’ll have the opportunity to compare what you read with what you’ve heard in the show or movie, giving your reading and listening comprehension skills a workout together. 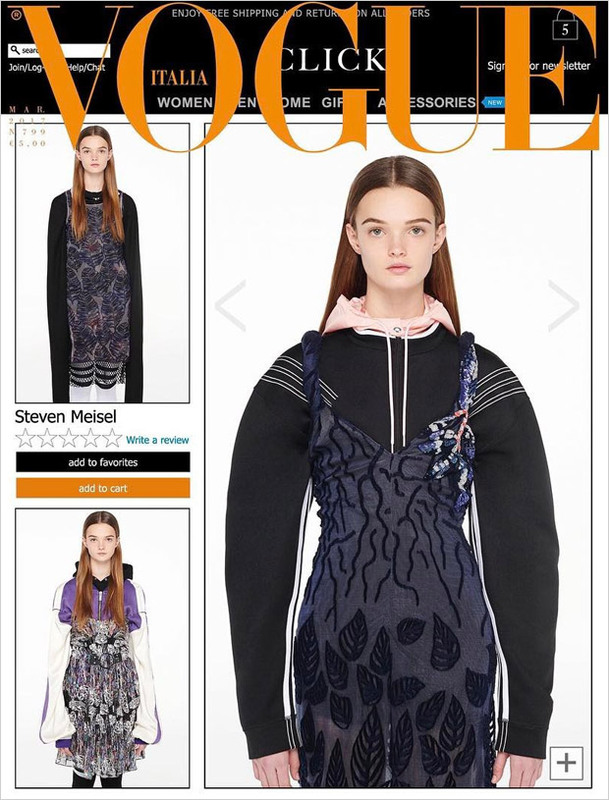 As you probably guessed from the name, Vogue Italia is Italy’s version of Vogue magazine. Filled with beauty tips, celebrity gossip and all things fashion, Vogue Italia is a great way to learn about the latest trends and styles in Italy. Milan, for example, is known as one of the fashion capitals of the world. How great would it be to see the latest fashions coming out of that city the moment they emerge? 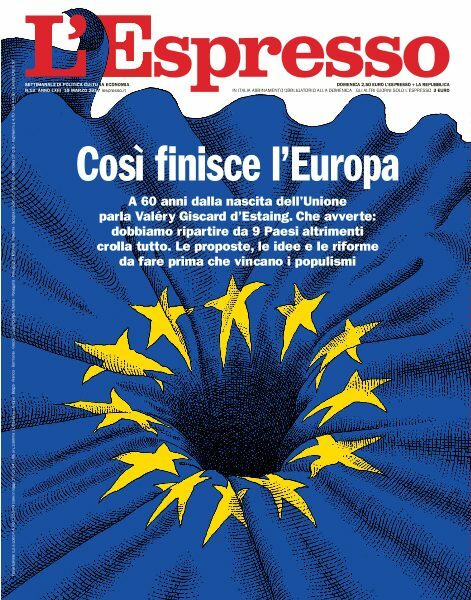 L’Espresso is a weekly Italian magazine founded in 1955 and based in Rome. It’s an extremely popular news magazine, featuring articles on politics and important cultural events in Italy and around the world. Known for its serious investigative journalism, this magazine will appeal to Italian learners who have a passion for current events and foreign affairs. Keep in mind that the articles here are probably best for more advanced Italian learners, because some of the terms used are technical and difficult to understand for beginners. However, this shouldn’t stop Italian learners at any level from checking it out, as long as you have a dictionary handy! By going to the L’Espresso website, you can read many of the articles that appear in the physical copy of the magazine, along with breaking news. 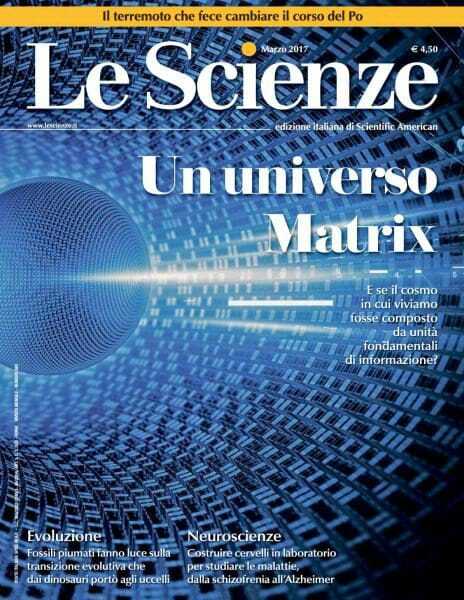 Le Scienze (The Sciences) is a great Italian magazine for people who love to learn about subjects like biology, chemistry, engineering and technology. It contains tons of fascinating articles that range from discussions of the latest innovations in the medical field to the science behind cooking the perfect steak. Even if you’re not a scientific genius, you can still find something that intrigues you in this magazine (for instance, I just enjoyed an article about how reading novels has been shown to make a person more empathetic!). 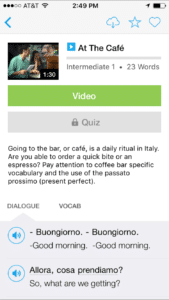 You won’t just be learning Italian while you read—you’ll be learning, period! This magazine has articles written on various reading levels and includes many photos and graphs that can be helpful for beginner and intermediate learners to keep up with what they’re reading. 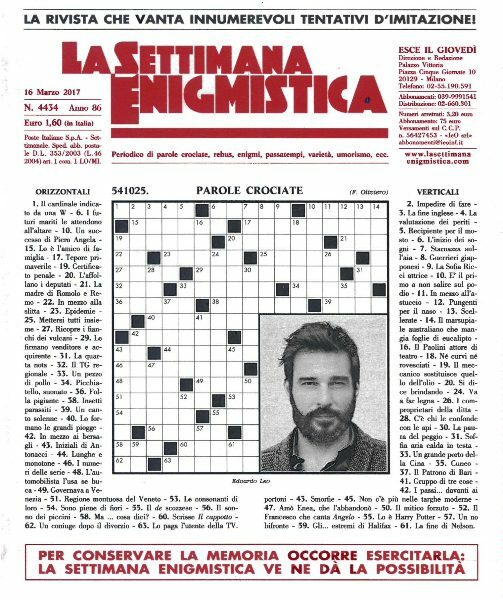 La Settimana Enigmistica (roughly, The Weekly Puzzle) isn’t like most magazines. Instead of articles about science or news or celebrities, it contains nothing but puzzles! 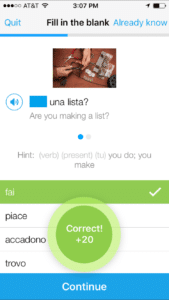 This makes it a fantastic tool for Italian language learners, because solving crossword puzzles and riddles in Italian using only Italian-language clues is much more difficult than just reading an article! This will keep your brain engaged and force you to think in Italian, pushing you toward fluency. With these puzzles, you’ll be wrestling with common words and topical names or ideas, helping you retain them more easily than if you had just read them in prose. Puzzles require active or concentrated engagement with Italian vocabulary and are sure to keep your mind in top shape. The magazine also contains Sudoku puzzles and other familiar brain teasers, so no matter what your puzzle preference is, you’re sure to find something fun here. You can find subscription information for all of these Italian magazines at their respective websites for learning, delivered at your door. Even if you find out that you can’t get them delivered to your house, you can still read their content on the internet. That way, you can stay up to date with the latest in Italian news and culture without ever having to board a plane! Jessica A. Scott is a novelist from Louisville, Kentucky. While her first love is writing, her second love is learning Italian, a goal that she has been pursuing since her sophomore year at the University of Louisville. You can find out more about Jessica and her work at www.jessicascottauthor.com.